Print a message and photo on canvas and add words like Love You, Happy Anniversary, Best Dad, Worlds Best Mum, or other personalised messages to create a personalised message canvas. A unique gift for someone you love lovingly made and sent the same day. Personalised message canvas with words printed on canvas is ideal for (gift idea for) gift occasions such as Mothers Day, Father's Day, Valentine's Day, anniversary or wedding. Print text with up to 20 words on canvas, with large cursive fonts coloured to suit the image. Sometimes just words will do, and sometimes just a picture will do. But this message canvas is the combination of both writing and images. Make a creative printed message on canvas for someone special today with message and photo on canvas. Canvas Photo Print - picture perfect gift for Mothers Day. Great experience from ordering to delivery. Fast turnaround too. Thanks to the team at Bags Of Love. Your design is printed onto the canvas using the most up to date digital printing methods. The technicians use the deep infusion printing to bond the eco-friendly inks deep into the fibres of the woven canvas. Our craftsmen make the frame for your personalised message canvas using FSC certified pinewood, along with the stretcher bar and wedges. Once both components are complete, your printed canvas fabric is hand stretched over the frame to ensure the best results every single time. 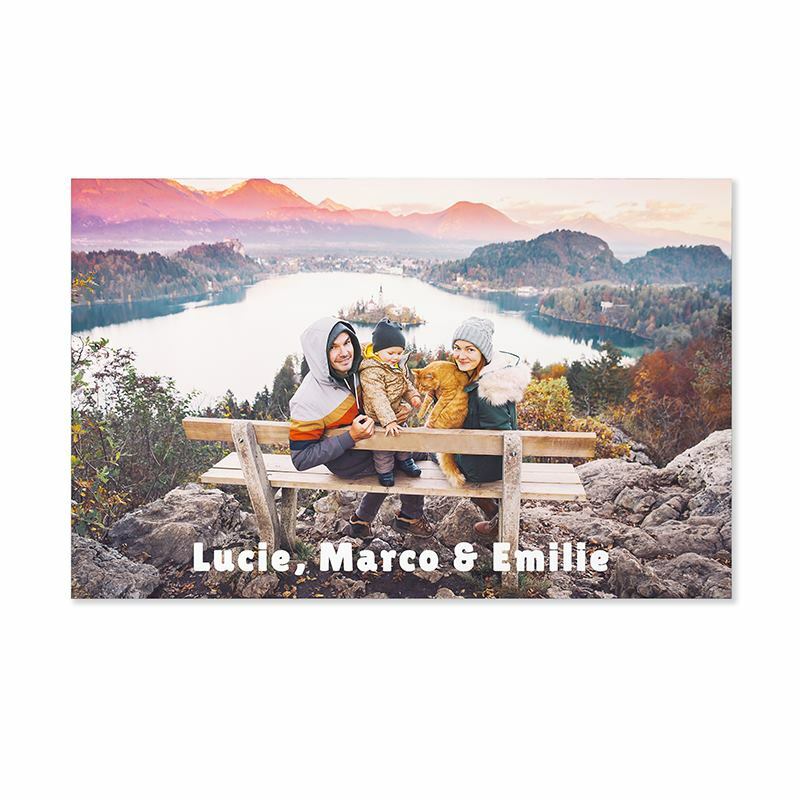 If you want to show your undying love then you can write a loving message or love message canvas and have it printed with a photo to make a beautiful and loving message canvas. Write a beautiful line and have the words printed and sculpted around a photo to make a highly attractive present for someone. If you have got a picture of the loving couple why not turn it into a wedding present with text displaying their names and the date to make a wedding gift that you can give on the day that has true meaning. Something to remind them of their early lives together and of their wedding bond. Make a wedding present canvas with a message or words for the wedding day. It can be quite difficult to get the right valentines idea for your partner but to make one with photos and words will be a very creative Valentine's Day present. Give message and photo on canvas to someone you care for and let your creativity do the talking. What better gift for best Mum than a photo of the kids with a personalised message Love You, Mum! Beautiful and easy gift to make for Mothers day. Words printed on canvas to wish Mum a happy day. Create a word collage with all of the things your mum makes you feel. Dads are hard to buy for, but with our message canvas for Father's Day, you can't go wrong. It's easy to make for him and easy for him to admire, and it's also a great way of showing how much you love him. Great for baby love text, which is ideal for new dads.